It’s a T3 hair dryer blowout at Sephora today. 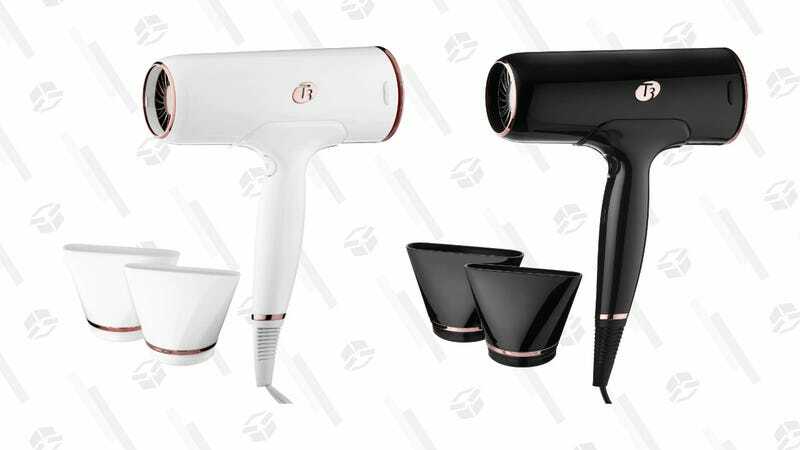 Right now, you can save big on two high-quality dryers: the T3 Cura Professional Digital Ionic Hair Dryer, down to $179, and the T3 Cura Luxe Professional Ionic Hair Dryer with Auto Pause Sensor, on sale for $229. And while that’s still a pretty hefty amount to spend on a styling tool, blow out aficionados will find that these T3s are worth it. Both are powered by T3 Digital IonAir technology, which basically means less time drying and less heat damage, resulting in a frizz-free, super shiny style. The Cura model features three heat settings and dual speed settings, along with a lock-in cool shot button, while the Cura Luxe five heat settings, plus an Auto Pause Sensor that stops airflow automatically when the handle is released. So, in summary, it’s a deal on a pair of hot dryers you shouldn’t blow off.